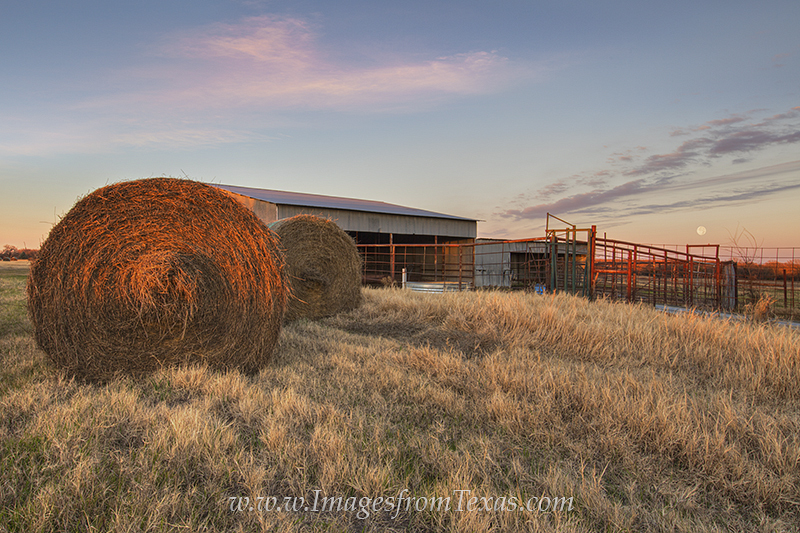 Hay Bales stand in front of an old barn in this scene from a Texas ranch. This photograph was taken as a full moon was rising on the horizon and the sun setting behind me. Photo © copyright by Rob Greebon.